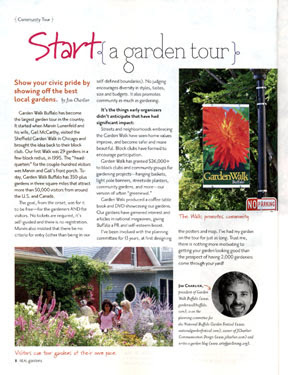 I was asked to write an article about starting a garden tour by Harris Publications—not knowing in which of their many magazines it would end up. Turned up in Real Gardens magazine and much of the article ended up on the cutting room floor. 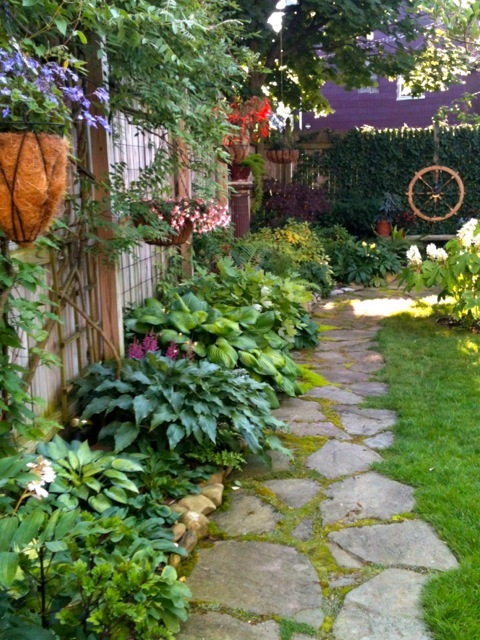 It was trimmed to be solely about Garden Walk Buffalo and its growth—I have no problem with that! At some point, I'll have to publish the complete article here on the blog. I don't know Latin names of plants. I can barely remember common names. I have made the rookie mistake of planting things too close together every year for 20 years. I've killed a good number of plants by neglect. I plant things against suggested recommendations. I've broken more garden rules than I've followed. 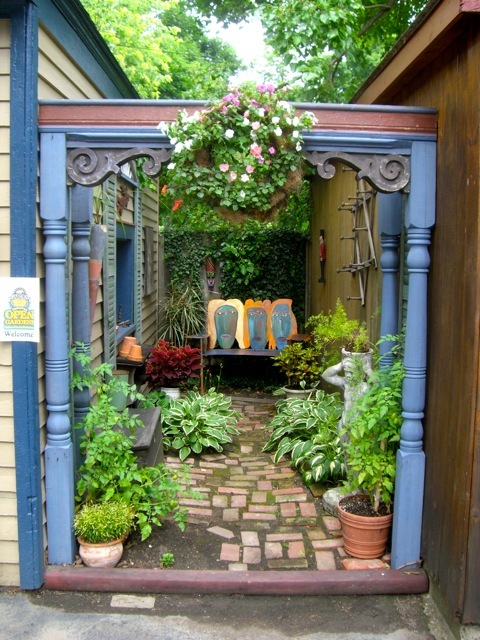 I'm a sham as a gardener—but I do know garden tours & horticultural tourism! 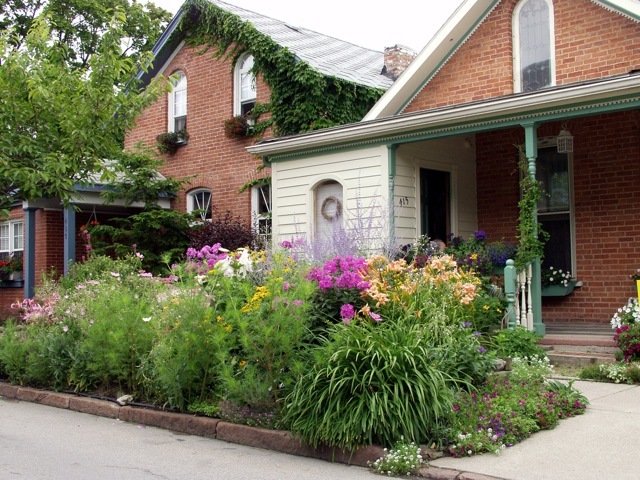 Many garden groups from around the country, and around the Buffalo Niagara area, have contact either myself, or past Garden Walk Chair, Arlan Peters, to ask questions about what's involved in either starting a garden tour or taking their garden tour to the "next level." Honestly, just about anyone on the Garden Walk Buffalo committee can answer these questions as well as I can—they've all been integral to the event's growth over the past few years. Included with the article is a photo I took of visitors to a Summer Street garden, as well as a photo of one of the Garden Walk banners hung on light poles along Sixteenth Street. 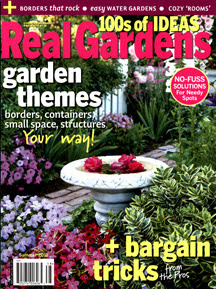 Real Gardens magazine is a publication of Harris Publications of NYC. Magazines are available nationwide wherever fine magazines are sold. I bought mine in a Wegman's grocery store. You ain't got no body!!! I don't know that publication, will have to see if they've got it at the library - that or take a clandesdine shopping trip to Buffalo & load up at Wegmans. Well done! Congrats Jim. I am going to pick up a copy at Wegman's too. I was not familiar with Real Gardens so that is a bonus in itself. New garden reading. Real Gardens? So I guess the gardens featured in the other magazines are phony. I'm with you an breaking garden rules. I had no idea I broke rules until I started taking Master Gardening classes. Wegman's appreciates your plug! I'm not sure if this magazine is available in Canada. I'd never heard of it before! Thanks. I think it's a new magazine—they don't have a website and I can't find much online mention of them. Harris Publications does many gardening publications under various names and seem to only have a newsstand version, no home subscriptions. I like them because there's virtually no advertising in them. It is sort of a pretentious name — all other gardening magazines are a fraud. I cannot begin to count the number of garden rules I break! Congrats on your article. I would definitely be interested in reading it in it's entirety, so please be sure to post!